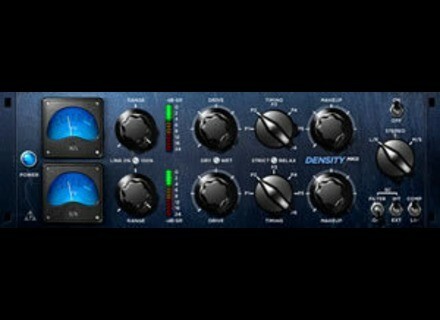 Density mkII, Software compressor from Variety Of Sound. Variety Of Sound has released Density mkII, a new version of the Bus Compressor designed to offer smooth and versatile dynamic processing on the stereo bus. Density mkII isn't modeled after any specific outboard gear but rather incorporates some proven dynamic shaping approaches from the past, combined in a seamless fashion with some much more modern concepts in audio processing, according to Variety of Sound. Density mkII was designed to work in a typical stereo audio group mixing situation or while summing and to glue all things together in an unobtrusive way. Perform ultra smooth 2-bus compression. Apply dynamic range adjustments easily. It's available for Windows as a VST effect plug-in and it is free. Best Service TITAN-free Best Service has announced the release of "TITAN-free", a demo version for TITAN, plus an unlimited version of Best Service's Sample Player ENGINE along with free TITAN demo content based on 12 multi-samples from the full version.